Both "ABCD 2" and "Guddu Rangeela" couldn't carry on the good weekend box office collection to weekdays. 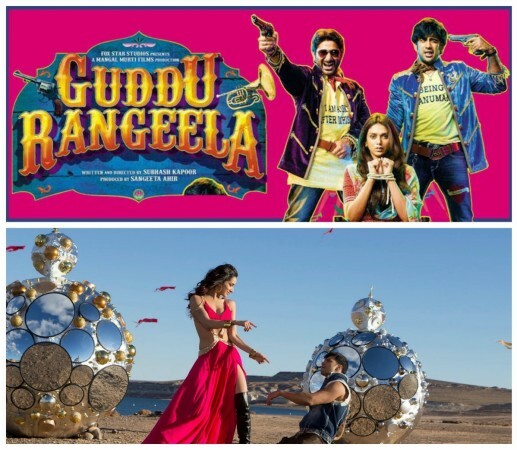 Bollywood films "ABCD 2" ("Any Body Can Dance 2") and "Guddu Rangeela", which had a decent box office run last weekend, have seen a sharp fall in business during weekdays to less than ₹1 crore. The box office collection of "ABCD 2" suffered heavily in its third week as compared to its first and second weeks, though on the positive side, the movie has made it to the ₹100-crore club in its third weekend with its total collection of ₹103.25 crore in India, according to trade analyst Taran Adarsh. The movie earned ₹69 lakh and ₹65 lakh on its third Monday and Tuesday, respectively. For the lead actor of the movie Varun Dhawan, "ABCD 2" is his first film to reach the ₹100-crore mark and for actress Shraddha Kapoor, it is her second film after "Ek Villain". It must be noted that "ABCD", the first one in the dance film series, was also a 100-crore film in terms of box office earnings. The latest Arshad Warsi-Amit Sadh starrer "Guddu Rangeela" failed to carry on the good run it had enjoyed during the weekend to the weekdays. The film, which has treated a serious issue like honour killings, had a poor start in India collecting only ₹1.51 crore, though business improved by about 30% on Saturday and Sunday. The movie's collection on Monday and Tuesday stood at ₹80 lakh and ₹74 lakh, respectively, and its total collection in India was about ₹7.36 crore, according to Adarsh. #ABCD2 [Week 3] Fri 1.01 cr, Sat 1.63 cr, Sun 2.23 cr, Mon 69 lacs, Tue 65 lacs. Total: ₹ 103.25 cr. India biz.